We may still be stuck in April showers territory, but our activewear has gotten downright tropical. Yes, the palm tree print—which took over everything from our iPhone cases to our dream interior design motifs (admit it, you’ve got that Beverly Hills Hotel wallpaper saved to a Pinterest board)—is now having its very own sweat-filled moment. Whether it’s on a sports bra or sweatshirt, the print screams “I’m totally relaxed” even when your boot camp instructor has you doing your seventh set of burpees. And if you’ve never owned a non-black item of clothing in your life (we’re looking at you, cross training trendsetters), fear not: In addition to the classic green print, we’re also seeing it in shades of gray. 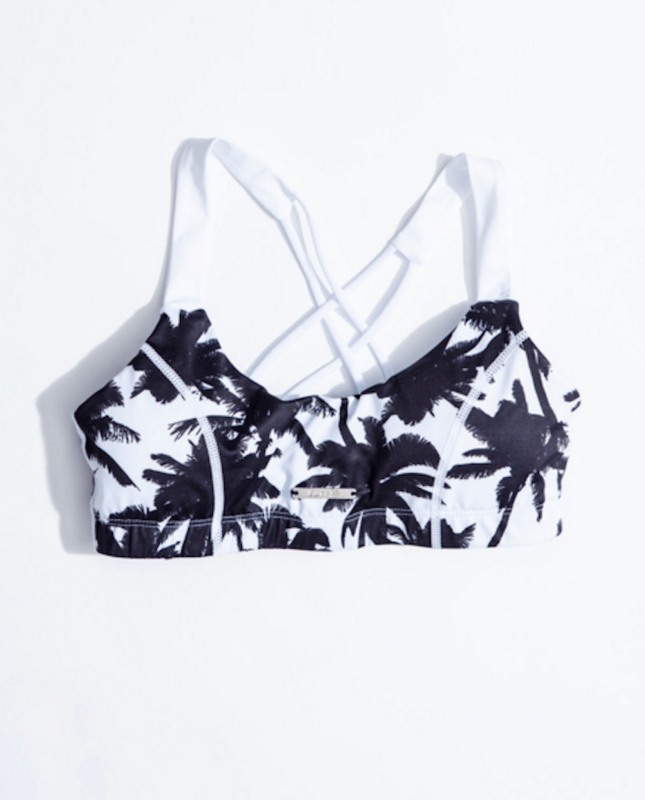 Scroll through for 13 palm print-covered activewear pieces to wear right now. Palm prints aren’t the only thing in style this spring. Earn your style stripes with these nautical prints or go back in time with some seriously throwback, ’70s gym class-inspired picks.